Members of the Senate and the Justice Department, as well as countless groups and organizations who work on issues that will be impacted by future Supreme Court decisions, are examining the records of US Circuit Court of Appeals Judge Brett Kavanaugh with a fine-toothed comb in order to make their arguments regarding his nomination and qualifications to serve. And in Kavanaugh’s case, there are volumes of records to be examined. From the perspective of the nonprofit community, how does the process for this particular nominee play out? Perhaps Kavanaugh’s record in regard to support for the poor versus the rich might be the first order of business. A simple example of Kavanaugh’s stance on rich v. poor are his open statements of hostility toward the Consumer Financial Protection Bureau, an agency established to provide a check on the financial industry and safeguard consumers after the 2008 banking crisis. Kavanaugh has stated that the work of this agency is unconstitutional. So, if the “little guy” is looking for consumer protections from this nominee, the outlook is not good. 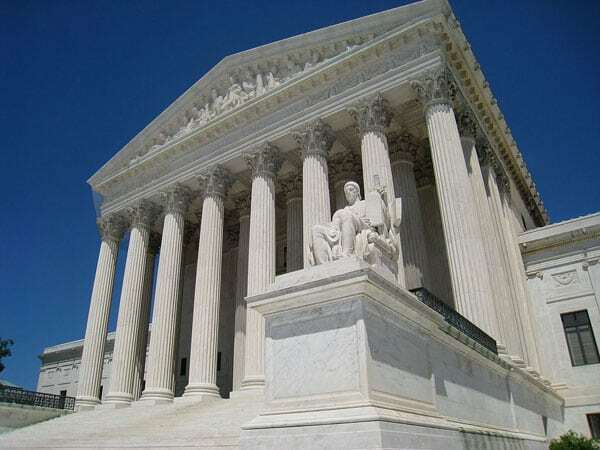 Nearly a quarter of a century ago, in Chevron v. NRDC (1984), the Supreme Court offered a clear answer: unless Congress has spoken clearly on the subject of a regulation, the courts should defer to an agency’s decision as long as it is reasonable, even if the courts would have reached a different interpretation. Whenever a statute is ambiguous, the agency enjoys wide discretion. Anything that is not unreasonable lies in the zone of the permissible. For those in the nonprofit world, doing away with Chevron could result in chaos in terms of regulation, with courts wielding more power, legislatures needing to work on tiny details of bills and policy, and administrations focused on minutia. This will not help nonprofits move agendas forward. Moving to areas that have been more widely covered, Brett Kavanaugh has been openly hostile to the Affordable Care Act and has been clear in his writing as well as in his judicial rulings that he would not uphold the constitutionality of this law. When he dissented from upholding the ACA’s individual mandate in 2011 while sitting on the DC Circuit Court of Appeals, he wrote a 65-page dissent declaring that the judges had no authority to even decide the case. “We’re courts of judicial restraint,” he said during oral argument. “It’s a delicate act to declare an act of Congress unconstitutional.” What impact will there be on the nonprofit sector if this justice believes that the ACA should not have even been the law of the land? Brett Kavanaugh has a long record of service in Republican administrations and a paper trail that will take quite some time to sort through in order to gain a full picture of his positions on the issues that most impact the nonprofit sector. His record of hostility to a woman’s right to reproductive choice and to healthcare for all have been front and center in much of what has been in the news. But dig deeper and there is a trail of support for big business over the little guy when it comes to climate change. During a hearing in 2016 on Obama’s “clean power” plan to combat global warming, he called the policy “laudable” but said it set unachievable limits that would drive plants out of business. “Lots of people are going to lose their jobs, lose their livelihoods,” he said. The plan never took effect.